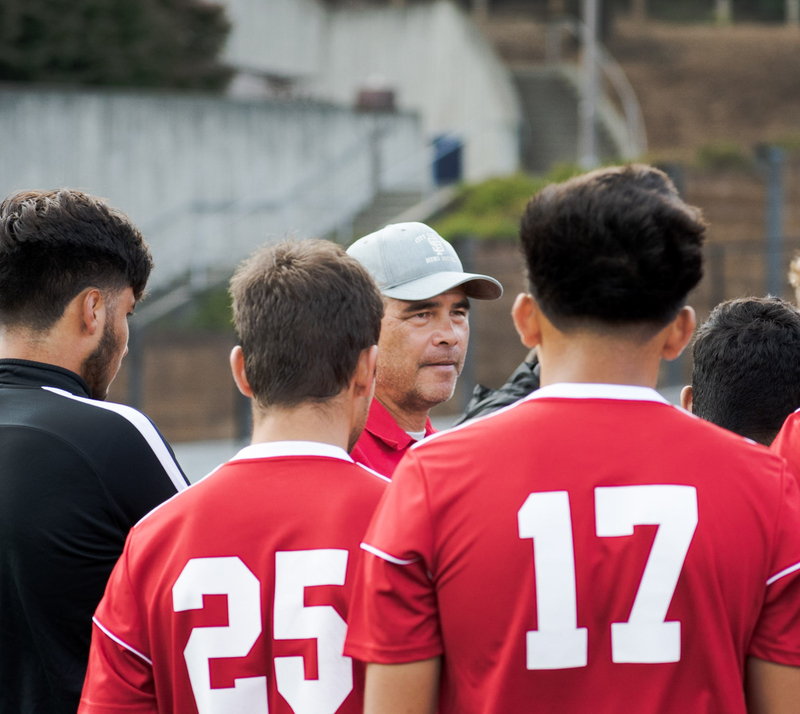 On Aug 31, the men’s soccer team walk away with a 2-1 victory over Napa Valley College in the season opener with goals by Alejandro Perez (#18) and Eruvey Arceta (#27). Despite the win, the game was scrappy and performances waned towards the second half. 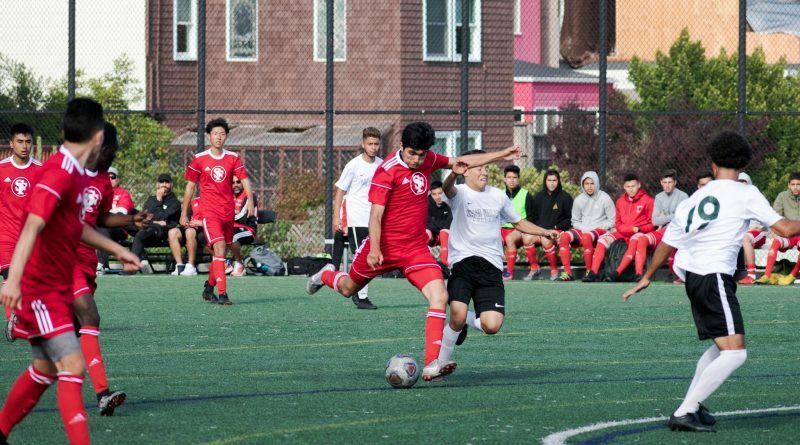 After a large defensive spell, City College conceded a late goal as Napa Valley looked to equalize. The Rams short build up play held, but did not sustain, as possession broke down. However, Napa’s high defensive line created enough space for early thru balls, and the City College’s pull back into midfield, put plenty of numbers into the box. 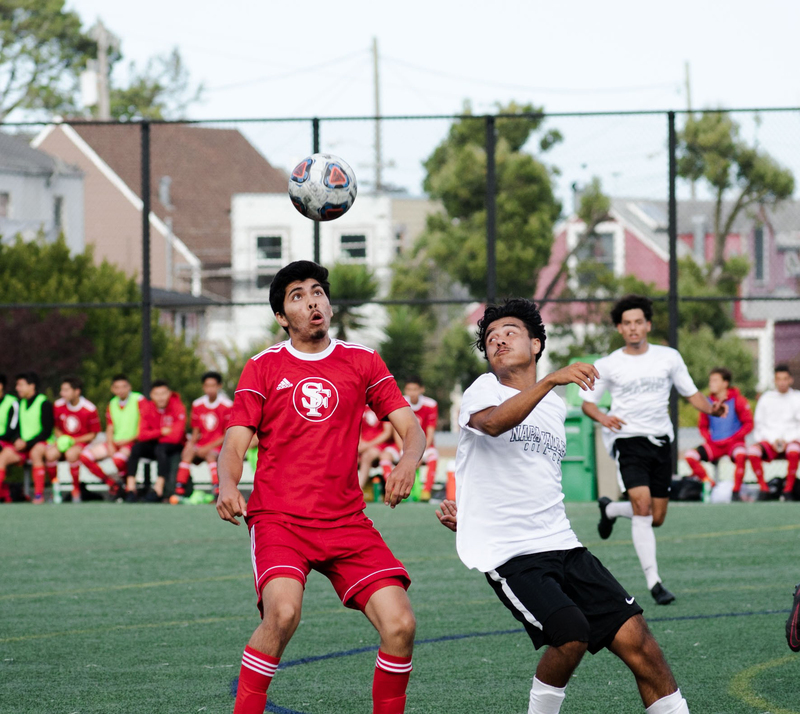 Apart from moments of promise throughout the match, rough edges are to be expected, as the new Rams team make their debut at the college level. Freshman Gabriel Arias stood out, even though he didn’t score. Playing the full 90 minutes, he was initially center mid, but ended the evening as right back when Napa Valley made a late push. Efforts that hadn’t gone unnoticed, as indicated by Coach Lucarelli.